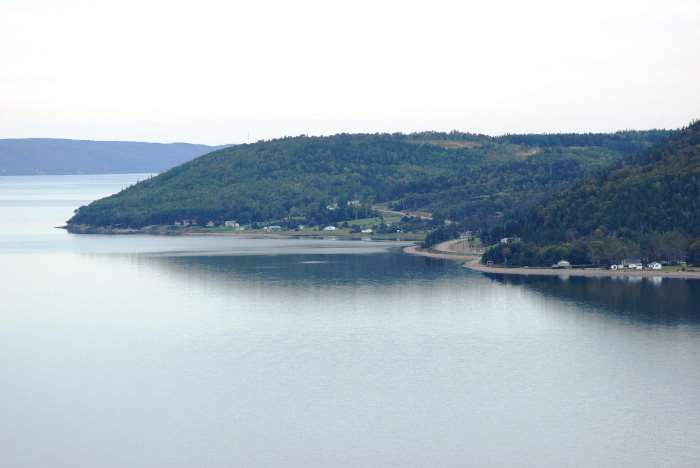 If it wasn’t for a narrow strip of land in southern Cape Breton Island, it would be Cape Breton Islands — or maybe they would have come up with some other name, but the point is this: the narrow isthmus at the southern end of Bras d’Or Lake holds Cape Breton together. Or at least it did, before they built a canal here, slicing through a solid granite hill to give the lake a new outlet. You’ll get a chance to look at this 19th-century engineering wonder as you visit St. Peter’s, Nova Scotia. 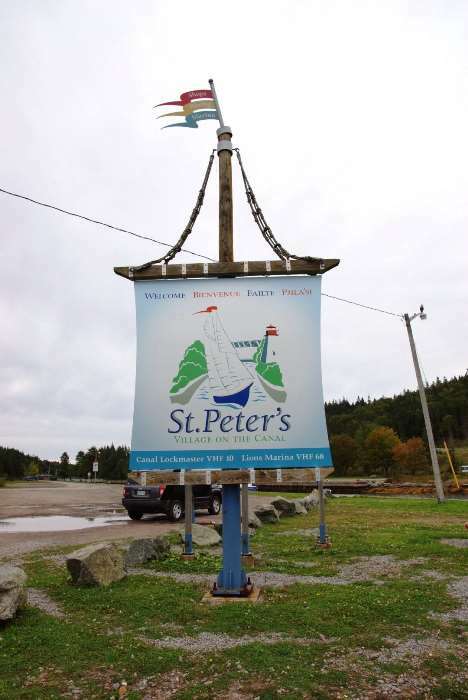 St. Peter’s is located along Trunk Route 4, about 50 kilometers from the Canso Causeway, at the southern end of Bras d’Or Lake. Cape Breton includes some smaller islands, but for the most part, it’s made up of one very big island that’s split down the middle by Bras d’Or Lake. And that lake is arguably not a “lake” at all. It’s more of an inland sea, a mixture of salt and fresh water, with two natural connections to the Atlantic Ocean up on the north end, near Sydney. But with no southern outlet, the lake provided a big inconvenience for everyone who used it, all the way back to the Mi’kmaq First Nations people. They would carry their canoes across the isthmus (narrow strip of land) at present-day St. Peter’s. Fur traders built a rough road over that same path in the 1600’s. But what was really needed was a canal. And so, in the 1800’s, one was built. Construction took 15 years, because of that aforementioned granite hill. By 1869, a canal was in place, with locks to manage the difference in tidal levels between one end and the other. 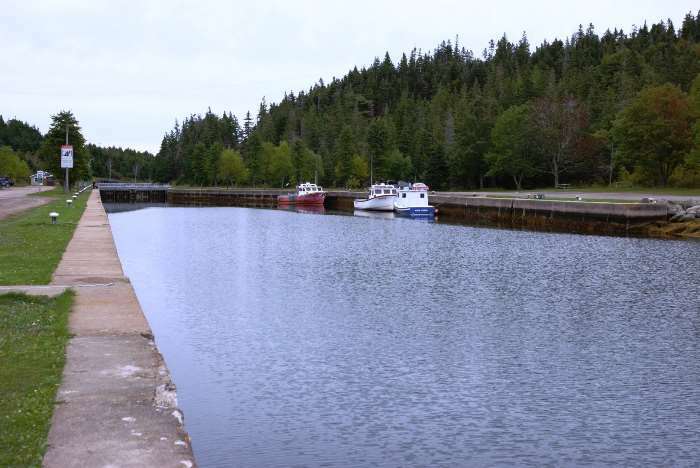 Over the years it was widened and deepened, and used during Cape Breton’s industrial boom. For the last half-century or so, it’s been less important for commercial traffic, and more frequently used by pleasure boaters. 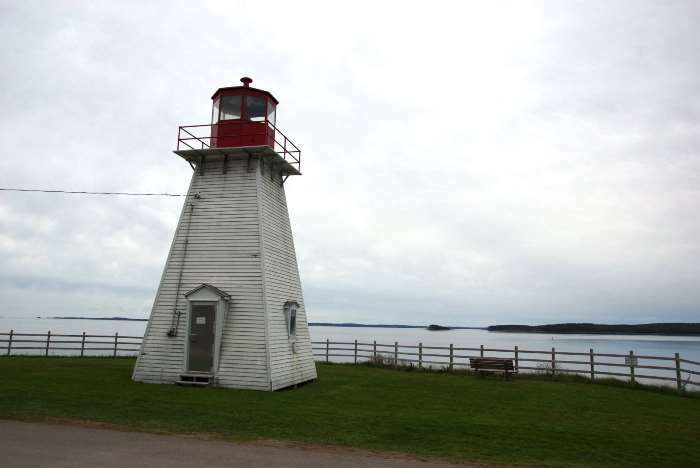 … and on the east side, you enter Battery Provincial Park, where a lighthouse marks the entrance to the canal. You can check out the lighthouse without passing through the park’s entrance station. I’m assuming there’s an admission fee if you go any further. There are some ruins and hiking trails inside the park, if you want to check it out. From the lighthouse, you’ll also have a nice view looking back towards the town of St. Peter’s. 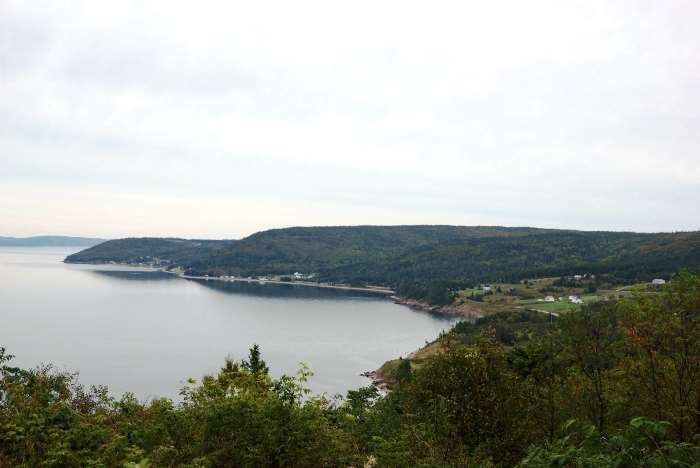 I was headed to Sydney for the night, so after checking out St. Peter’s, I continued north on Trunk Route 4, which skirts the edge of Bras d’Or Lake. This was a beautiful drive (made slightly less pretty by the cloudy weather), but I didn’t find a lot of places to stop and take pictures. You can see much more of it in the Drivelapse video down the page. The view is nice at this spot near Irish Cove. After this stop, I continued driving to Sydney. I’m pleased to report, the sky turned much more beautiful just before sunset. I didn’t know a lot about the importance of St. Peter’s Canal when I arrived, but I’m glad I took a few minutes to see it, and learn about its history. It’s worth checking out if you have the time.